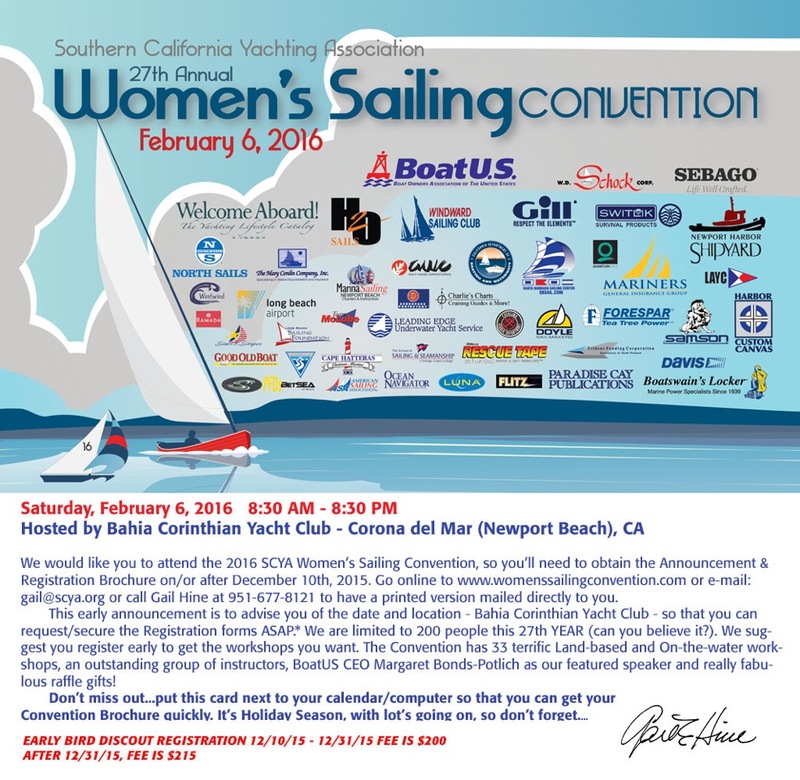 Coming up on Feb 4, 2017 is the So CA Women’s Sailing Convention. The plan is to fly down to Orange County Airport on Friday, stay at the Ramada Inn, Costa Mesa. They provide shuttle services to and from Bahia Corinthian Yacht Club, and to and from the airport. SoWest provides great services from all 3 bay area airports. If you are interested in going to SO CA, please send an email to lmhbreed@yahoo.com. This 2 day class is being offered on 2 consecutive Saturdays: October 22 and 29. 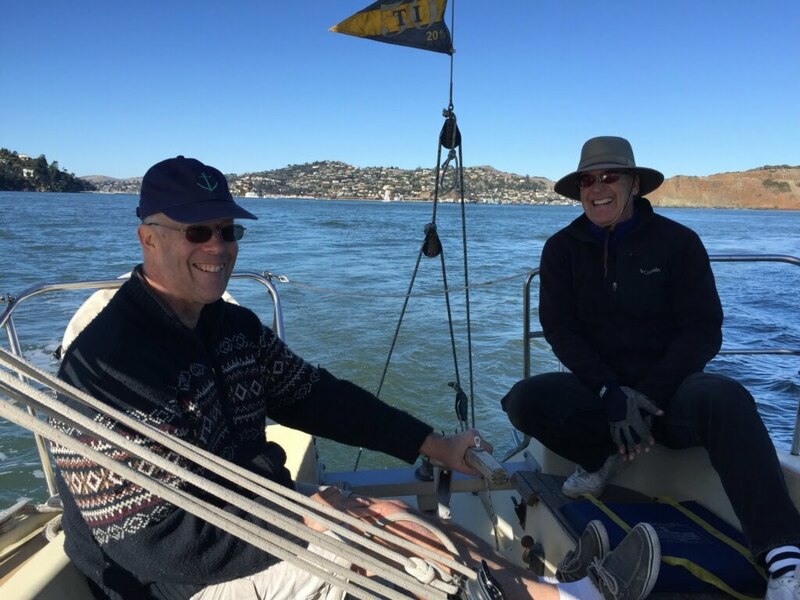 An all day class, you will learn about navigation aids (and what the word means), lights and sound signals, government regulations (for you and your boat), anchoring, departing and returning to a dock (without big bumps or yelling), trailering, and much more. While you won’t get to operate a boat during this class, you will become more confident (and proficient) when we get to that step. 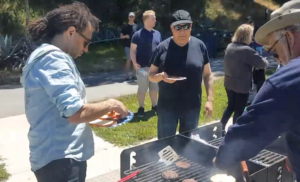 So, whether you are new to the subject, want a refresher, want to see if “things have changed since I first learned this”, or want to bring (and sponsor) someone who is just a beginner…. The instruction is free; you just pay for the book and additional materials ($35). Couples may chose to buy one book for both of you. 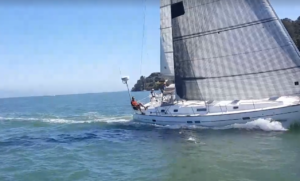 The destination of the next TIYC Cruise-Out on Sunday, September 25th has been changed to Sausalito YC. 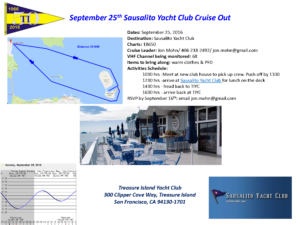 Download the Cruise Notes Flyer (follow the link) TIYC-Sept25-cruiseout-sausalito. 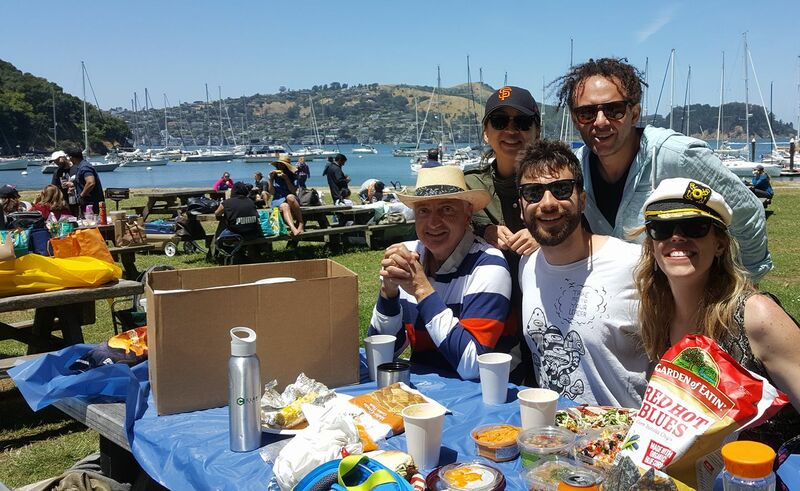 Saturday, June 4, 2016. 15th Women’s Sailing Conference in Marblehead, MA. 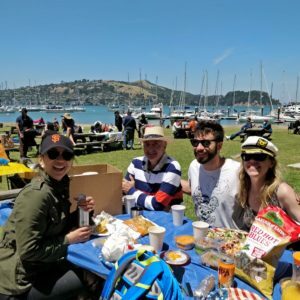 There will be all day Sailing Workshops and On-The-Water Instruction. 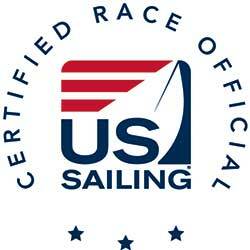 For more details go to http://www.womensailing.org/. Lots of new names and new workshops. 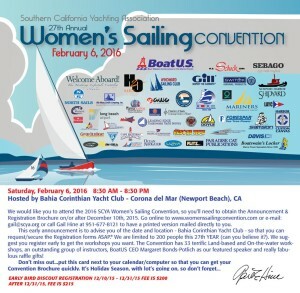 Don’t miss out on this great day for women sailors of all abilities. There are three TIYC women planning to attend. Contact Lynette if you would like to join the group. (415) 265-6913. 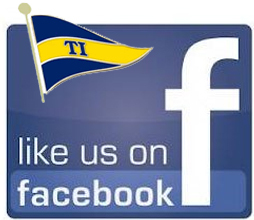 TIYC will be hosting the first Inter Club race on April 9th and providing the Race Committee for this first race of the season. 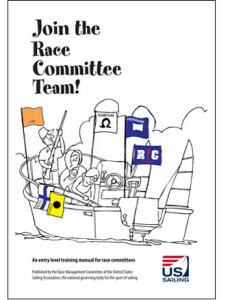 We would like to have members “Join The Race Committee Team”. While experience is helpful, we are looking for anyone who has interest in helping with the Race Committee to come and join our team. A training session will be held on Saturday, March 19th starting at 10:30am in the Clubhouse. 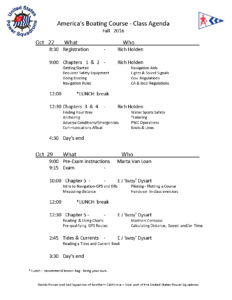 We will have a chalk talk in the morning and a practice session on a committee boat in the afternoon. Please email Russ Breed if you will be able participate. The seminar will be held from 8:00am – 5:00 pm. $40 seminar fee includes seminar materials plus pastries, coffee and juices in the morning and drinks throughout the day. 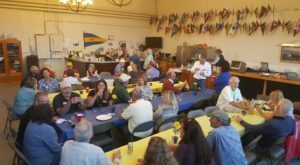 Participants are responsible for their own lunch, however several choices from Encinal Yacht Club’s Bar Menu will be available to purchase on the seminar date. Registration closes on Monday, February 1, 2016. Please contact the organizer for information about walk-in registration. 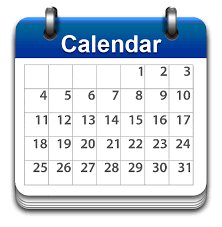 The Date is Saturday, February 6, 2016. 9:30am – 4:30pm. Registration Fee After 12/31/2016 is $215. Don’t miss the early bird discount starting December 10th. 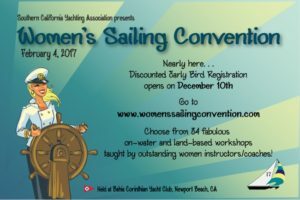 Go to www.womenssailingconvention.com to sign up.